In 1979, Bob and Pete Kordus opened Asphalt Contractors Inc., focusing on sealcoating and maintenance work in and around Union Grove, Wisc. Bob's son, Robert, took an immediate interest in the company and tagged along with his dad as soon as he was allowed. "I don't remember exactly when I started, but I recall earning my first paycheck when I was 14," laughed Robert, who serves as general manager of the firm with Bob as president. "I was on job sites and machines well before that age. I knew this was what I wanted to do." The family business has evolved considerably from those modest beginnings. In 1992, the company added paving services to its portfolio, an asphalt plant followed in 2009 and, in 2015, it began crushing and recycling aggregates. Today, it employs 90 people and completes jobs across the country. "The majority of our work is in southeastern Wisconsin, but we've done projects in Ohio, Texas and Delaware," said Robert. "We are now at the point where we handle the majority of aspects on paving assignments. We can do everything from milling to paving to striping — we even have a crew that handles signage and guardrails." While the addition of services has resulted in Asphalt Contractors' growth throughout nearly 40 years of operation, the company hasn't lost its small, family-run sensibilities. It boasts a project list that ranges from parking lots that require 30,000 tons of asphalt, to a driveway that needs a layer of sealcoating. "Our goal is to serve a wide range of customers," explained Robert. "While the majority of our time right now is on private commercial work, we still have crews that do driveways. We don't forget the jobs that made us. Each time we've increased in size, it's been to help us serve all of our customers better. Efficiency is the goal." As Asphalt Contractors continues to thrive, it needs dependable equipment to operate efficiently. That's why it turns to Roland Machinery Company and Territory Manager Aaron Strade for Wirtgen Group machinery. Asphalt Contractors' fleet includes three Wirtgen milling machines (W 2000, W 50 DC and W 130CF), two Hamm rollers (HD 10 C and HD 12) and a Vögele Super 1700-3i paver. 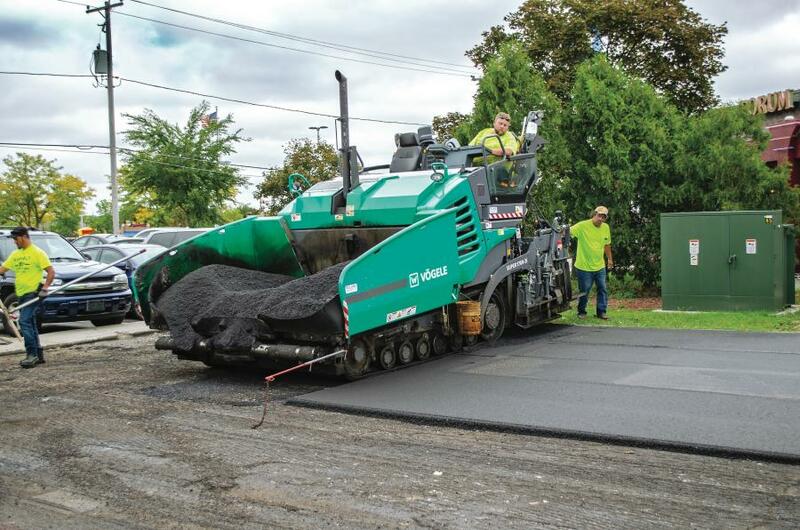 This Asphalt Contractors Inc. crew uses a Vögele Super 1700-3i paver to complete a parking lot in Hales Corners, Wisc. "Everything Wirtgen Group introduces is two years ahead of the competition," shared Robert. "They set the trends in our industry. Their products have the most advanced technology and are extremely durable. Other paving equipment just isn't as good. The Hamm rollers are tanks, the Wirtgen mills are the best on the market and the Vögele paver is our mainline machine. Wirtgen is the best — plain and simple. Second place isn't even close." Roland and Strade also supply Asphalt Contractors with Komatsu equipment, including a WA380 wheel loader and PC490LC-10 excavator. "The relationship we with have with Roland is fantastic," said Robert. 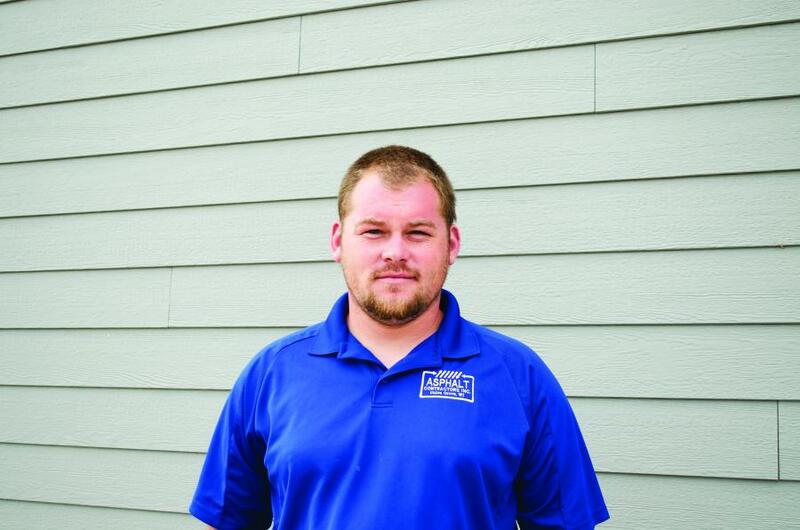 "Whenever we need a machine or service, Aaron is there. They have delivered at every turn, and we appreciate that." When Asphalt Contractors began crushing, it was with the idea to secure better availability of materials for its projects. Today, the division is a full-blown revenue stream. "It went from helping us have access to products when we needed them, to a serious operation with a dedicated customer list," detailed Robert. "The most common product we make is inch-and-a-quarter DOT-spec for road contracts. We also produce three-inch-minus, six- to eight-inch select crushed and three-quarter-inch minus. This year, we will turn out nearly 125,000 tons of crushed concrete from our yard in Milwaukee." 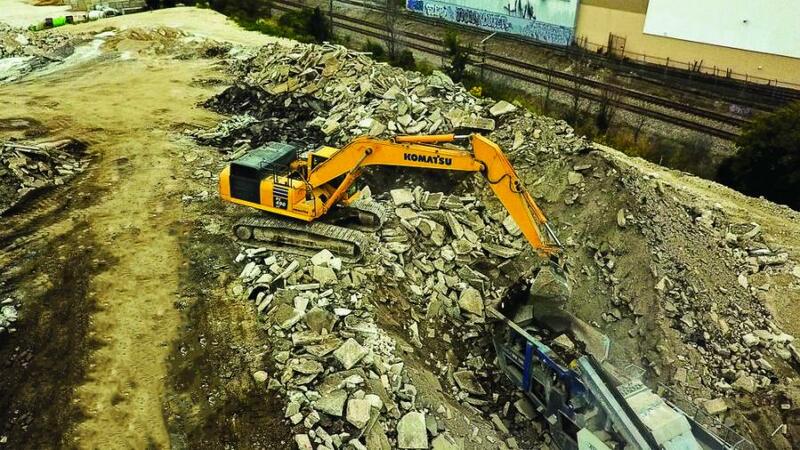 The company uses two MOBIREX MR 130 Kleemann mobile impact crushers, purchased from Roland, at its two main yards and moves them to crush at smaller satellite locations. "The crushers are amazing," said Robert. "They certainly have made our operation what it is today. They are durable and efficient. Crushing isn't very machine-friendly, but the Kleemann 130 crusher is up to the task every day." Asphalt Contractors, like many companies in strong economic times, anticipates annual increases in both jobs and employees. However, recent trends have defied even the firm's most aggressive projections. "We've grown approximately 20 percent every year since 2012," stated Robert. "I didn't envision us at this size. It's a great situation to have, but our main focus is on controlled expansion instead of adding people, equipment and jobs just because we can. I've seen a lot of companies get really big one day and be gone the next. We want sustainable growth, and that's the question we ask ourselves with every decision. As long as an opportunity makes sense, and we can manage it, we will do it."